Top-quality solutions make the difference! 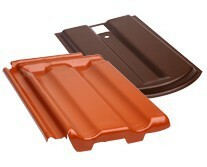 Metal roofing tiles prevent broken bricks and slates and fit perfectly into arrays of tiles and slates. Metal roofing tiles have thus been used for load absorption with snow guards for a long time, and have been playing an ever more important role in another area too- the solar panels industry.